Welcome. You can always return to this page by selecting the above title. The purpose of these applets, animations and activities is to help you better understand concepts presented in the book. 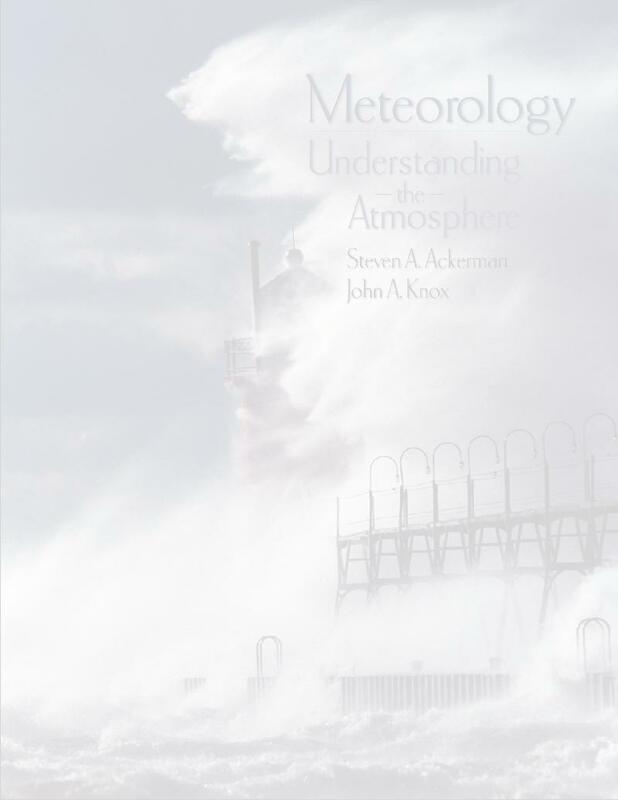 The following is a list of applets and activities that can be used to help learn material in a given chapter of the book: Meteorology: Understanding the atmosphere by Ackerman and Knox Published by. The applets have been developed by Tom Whittaker and Steve Ackerman. Tom has also developed the QuizImage applet and the animation applets, both of which are available over the internet. Introduction to "Greenhouse Warming": If you have not done this activity in Chapter 2, you might want to visit this link now. Mountain lee waves: An animation of Figure 12.6. Great Lake Breeze: A satellite animation of a lake breeze. Katabatic Wind in a satellite image.